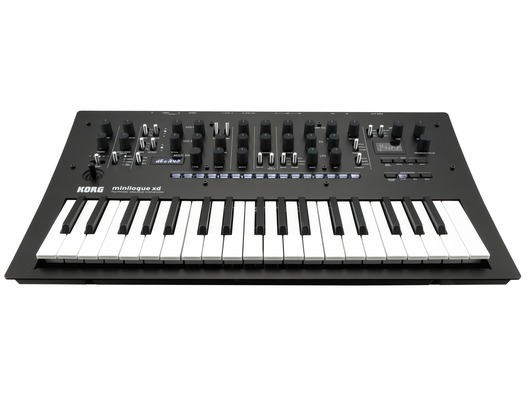 Introducing the Korg Minilogue XD; Korg's latest edition of the original Minilogue synthesiser which brought analogue synths to a wider audience. The Minilogue XD is just as fun but also includes some additional features, like the digital multi-engine so you can take advantage of a sonic character and use it alongside the analogue engine; a powered-up sequencer; micro-tuning functionality; and digital effects. 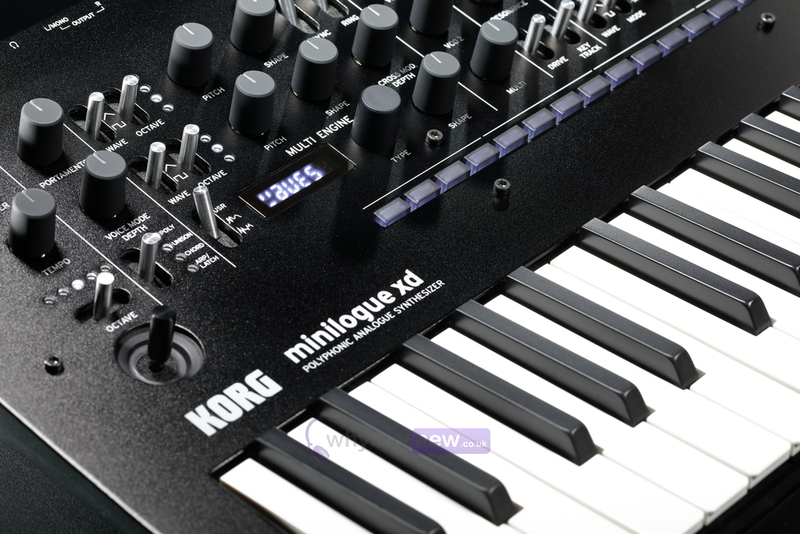 The Korg Minilogue XD comes equipped with three types of digital sound effects (modulation effects, reverb and delay), which you can use simultaneously. Combine all of this with the intuitive polyphonic 16-step sequencer and you'll have almost unlimited scope for creativity! We wanted to deliver a next-generation analog synthesiser for a new generation of musicians new to analog synthesis. That dream was realised in the development of the minilogue, which instantly made the analog synthesiser approachable. 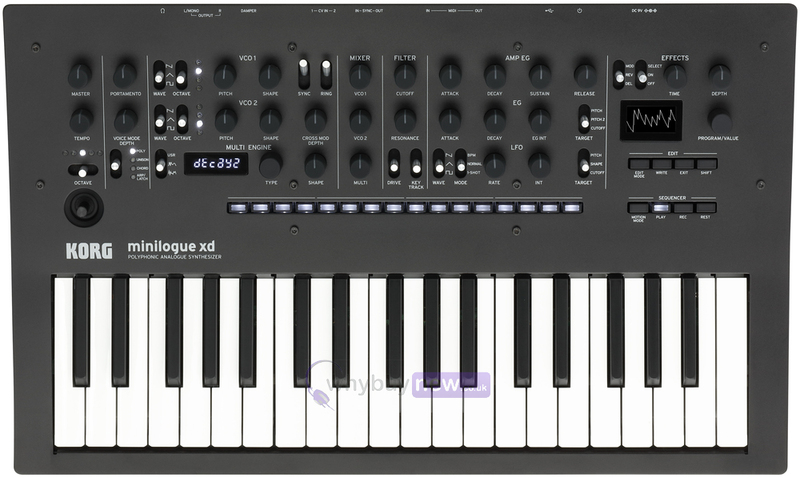 In addition to emphasising the same real analog sound and joy of controlling an electronic musical instrument offered by the original minilogue, the minilogue xd newly adds a digital multi-engine, effects, a powered-up sequencer, and micro tuning functionality, further expanding the possibilities for sound design and performance potential. Four-voice polyphonic analog synthesis. The analog synthesiser circuit of the minilogue, whose genuine analog sound had a huge impact on the synth world, has been further developed for the minilogue xd. Voice structure of minilogue xd is 2VCO + MULTI ENGINE, 1VCF, 2EG, 1VCA, and 1LFO. 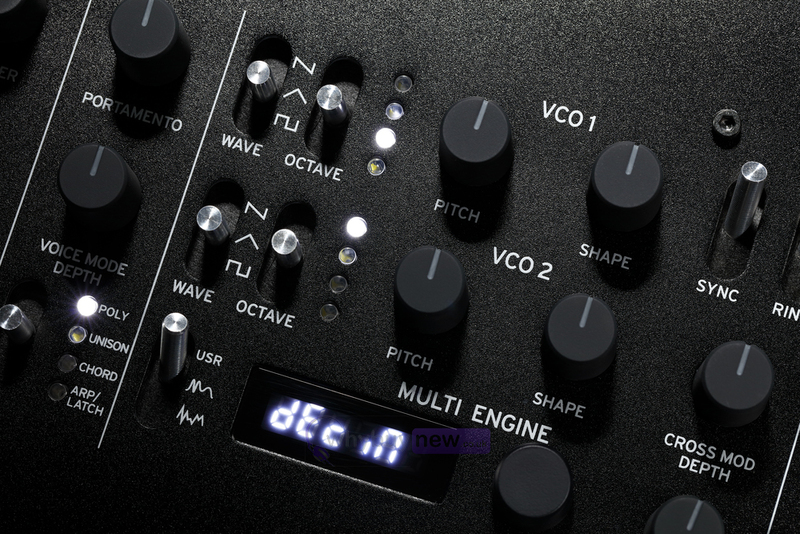 In addition to the distinctive circuits found in the series, such as wave shaping to shape the overtones of the oscillator and a sync/ring switch, there's also cross modulation, a sharp two-pole filter, and a drive switch that adds thickness and drives signal into minilogue xds filter. Every parameter has been tuned in detail based on what musicians want out of their synth. The sounds range from the warm pads typical of analog to fat basses and crisp lead sounds, covering every situation. The noise generator provides four types of noise that are indispensable for percussive sounds or for sound effects. You can use the digital filter to directly change the colour of the noise. 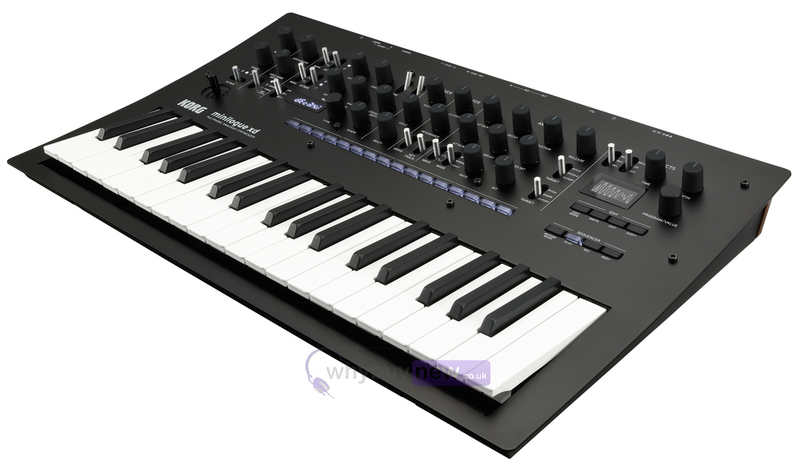 Minilogue xds multi-engine features a VPM (Variable Phase Modulation)/FM oscillator with a two-operator structure. It can produce sharp, metallic sounds with complex overtones beyond the possibilities offered by analog systems. With 16 types of oscillator and a SHAPE knob control, you'll be able to create complex sounds intuitively. Minilogue xds high-quality digital effects use 32-bit floating point DSP processing, adding a finishing touch to its deep sound design platform. The three types (modulation effects, reverb, and delay) can be used simultaneously, letting you choose from a wide range of variations including chorus, ensemble, warm tape delay, and a diverse variety of reverb. 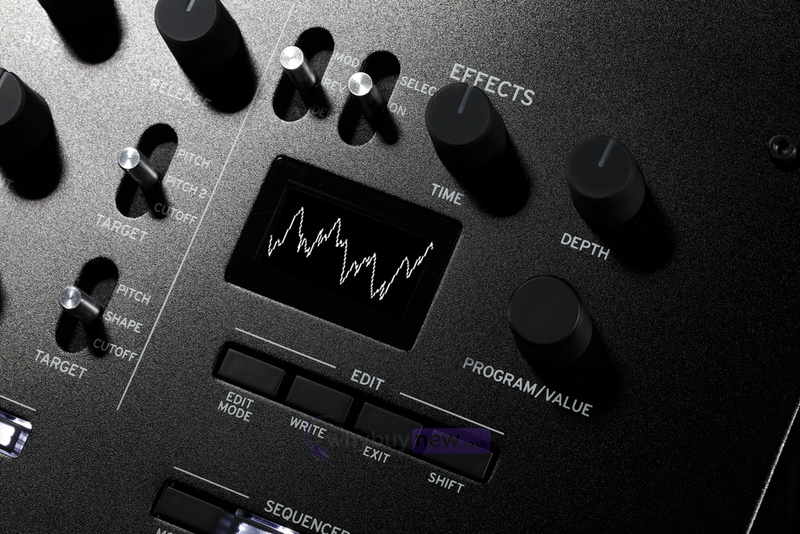 The user effect slots allow you to load your own effect programs that you've created. Two CV IN jacks are provided, with voltage levels of -5V+5V. In addition to CV/Gate, these can also input modulation signals, allowing you to use external devices to control parameters in the same way as moving the joystick up or down. Dimensions (W x D x H): 500 mm x 300 mm x 85 mm / 19.69" x 11.81" x 3.35"